A little bell in my mind says there may have been 2dates. Will check tonight..
that show was recorded by "velvet" if I remember correctly - a bit harsh and only in mono but an enjoyable listen. I found a Hall & Oates gigography, and not only found some new dates (in BOLD), but H&O played A TON of shows opening for Lou in '74! Found a review of the Phoenix show! 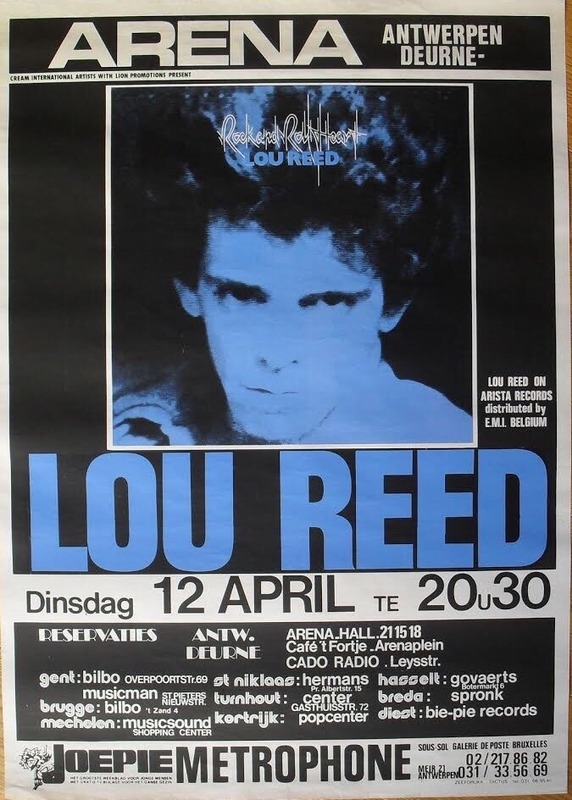 The Celebrity program for this show called Lou Reed “one of a bare handful of rock stars whose aphoristic lyrics have the quality of authentic street poetry.” His Transformer album, produced by David Bowie and containing the hit “Walk on the Wild Side,” had also turned him into a pop star, riding the glitter rock wave. 1974 saw the release of Reed’s great Rock and Roll Animal, a no-mercy live album, then Sally Can’t Dance, a studio release. On stage, Reed kept up his glitter appearance with bleached blonde hair- a strange look for someone who was naturally dark. The most riveting moment of the evening was when Reed wrapped the microphone cord around his arm and play-acted shooting up for the old Velvet Underground tune “Heroin.” Opening the show were Arthur Lee and Love. Known as a band from LA that started in folk rock, then expanded into psychedelia, this reformed version of Love played a tough urban music, mixing hard rock and soul. Lee was in the spotlight, attacking the music with full passion.